Barnaby Joyce, the agriculture minister, has been accused of pushing Victoria’s animal emblem, the Leadbeater’s possum, closer towards extinction by personally intervening to ensure his department uses paper sourced from its habitat. After a request by Joyce, the federal agriculture department now uses Reflex paper, a brand produced by Australian Paper from logging forests in Victoria’s central highlands. This logging involves felling thousands of hectares of the Leadbeater’s possum habitat. 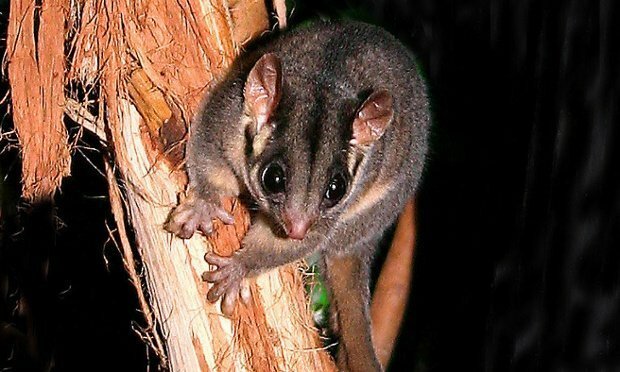 The endangered possum could be wiped out and the entire mountain ash ecosystem it resides in could collapse under current logging practices, scientists have warned. Joyce’s intervention ignores a “whole of government” procurement process run by the Department of Finance, which chose Complete Office Supplies, Staples and Office Max to supply paper for government departments. Departments have discretion over which suppliers they use and whether to select from the government catalogue based on their requirements. The Department of Finance said the government’s sustainability policies demand that all departments use 100% recycled paper by July 2015. However, it is understood that the Department of Agriculture is now using 50% recycled Reflex paper, a product that does not meet Forest Stewardship Council certification. Joyce was lobbied by his Nationals colleague Darren Chester, the MP for Gippsland, to switch to paper made at the local Maryvale mill. The decision comes as Joyce’s colleague, the environment minister, Greg Hunt, considers a recommendation to list the Leadbeater’s possum as “critically endangered”. It is thought just 1,500 remain. “We don’t need to be logging native forests to support Australian jobs,” said Amelia Young, campaigns manager at the Wilderness Society. “If minister Joyce was serious about Australian jobs he’d look to the future, which is plantation wood. Sarah Rees, of a local conservation group MyEnvironment, said government contracts such as the one from the Department of Agriculture were helping Nippon Paper, the owner of Australian Paper, to continue logging native forests. Rees said she was surprised at the timing of the decision, given Hunt’s expected listing of the Leadbeater’s possum as critically endangered. The Victorian government has established a taskforce to look at how to maintain the mountain ash ecosystem while also ensuring that jobs are protected. Environmentalists, backed by Sir David Attenborough, are pushing for the establishment of a new national park to protect the mountain ash forest area, which lies north-east of Melbourne. According to the Victorian government, about 62,600 hectares of ash forests in the Leadbeater’s possum habitat area is available for timber harvesting, and 24,000 hectares are likely to be felled over the next 30 years. VicForests, the state’s logging agency, has said it will reduce by 25% the amount of ash forest it takes from 2017. However, several scientists and environmental campaigners have said this reduction is not enough to prevent the possum’s demise and the degradation of an area that provides almost all Melbourne’s water catchment. 1 Reply to "Barnaby Joyce accused of pushing Leadbeater's possum towards extinction"
The logging of Australia’s forests needs to stop. Our ecology is fragile.